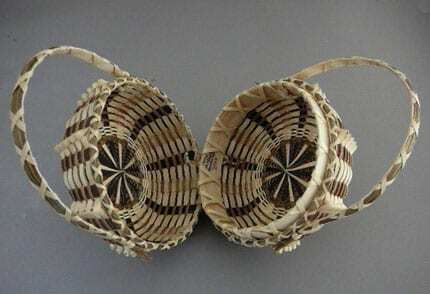 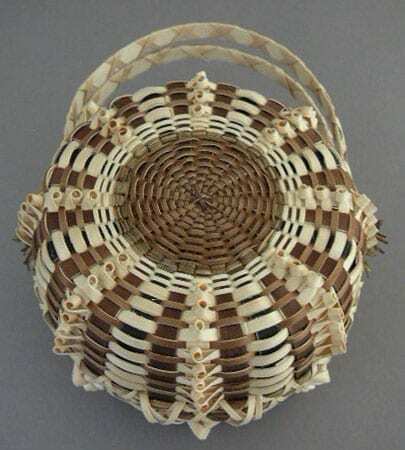 Sarah Sockbasen, a young Penobscot basketmaker, has re-created a purse basket based on one held in her family for generations. 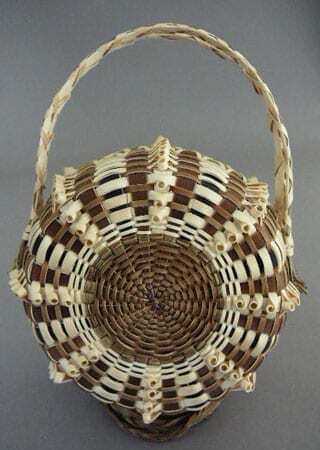 Curlicue weave, sweetgrass and ash handles. 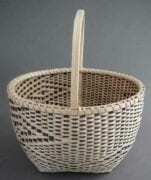 This is an extremely charming piece: it is usable, but for conservation purposes, we would not recommend it for every day use. 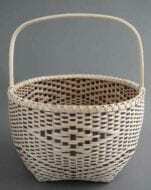 The rich brown tones and subtle black dyes contrast beautifully with the natural colored ash.